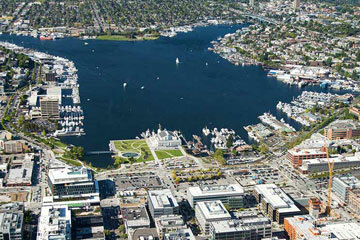 South Lake Union is a popular Seattle neighborhood located near the downtown lakefront. The neighborhood features a glorious lakefront park and panoramic views of the Space Needle and Lake Union. There are plenty of restaurants and shops for visitors to enjoy, and nearby attractions include Lake Union Park, the Center for Wooden Boats, and Museum of History & Industry. Parking is extremely limited in South Lake Union. Find easy and convenient parking at the following Parking.com location. Daily Parking and Monthly Parking specials are available.